Not to be big headed but we’re a talented bunch at Castle & Pryor, however we never underestimate the need to keep learning, improving and moving with the industry. That’s why we always find time for training. And this month was no different. Some of our team have been getting to grips with a new bit of kit. 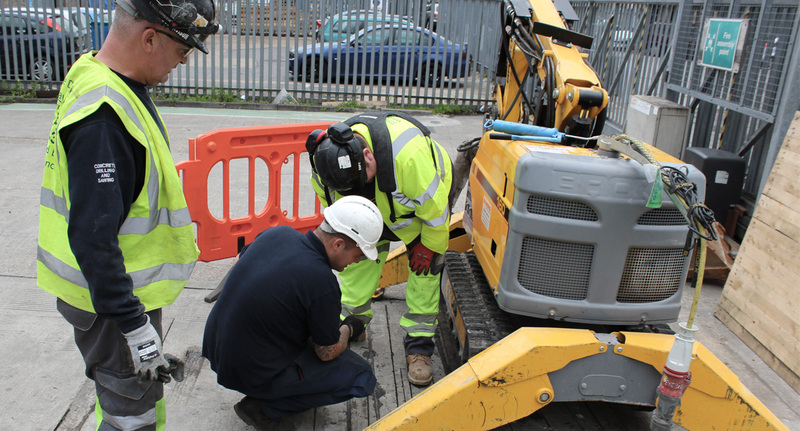 Take a look at the video we took while one of our experienced workshop managers was taking the team through a fault-finding exercise with a robotic Brokk, essential knowledge for working effectively with this tool. And this lesson in machine maintenance is just a routine part of the ongoing training we offer every member of our team. What does our training programme include? We take a two-strand approach to training each and every one of our operatives. To ensure they’re ready to deliver high quality results for our clients as safely as possible, all of our operatives complete both our industry standard NVQ level 2 and our in-house training programme. And with Castle & Pryor the learning doesn’t stop there, we ensure every new skill is built upon with shadowed experience. The team going through a fault-finding exercise with a robotic Brokk. Why do we always find time for training? We can’t see training as anything but a win-win, so we’re eager to ensure proper time is always dedicated to making it happen. “Our operatives often request new skills training in their appraisals,” explains Mark Castle, “they see this as a good move, and we do too”. Not only does training benefit our team but it’s also great news for our clients. "Our operatives often request new skills training in their appraisals - they see this as a good move, and we do too." More skilled staff means we can be ready and flexible to jump on projects as and when they crop up and always able to put a team together with the right expertise. If you’ve got a project that needs skilled staff, get in touch.